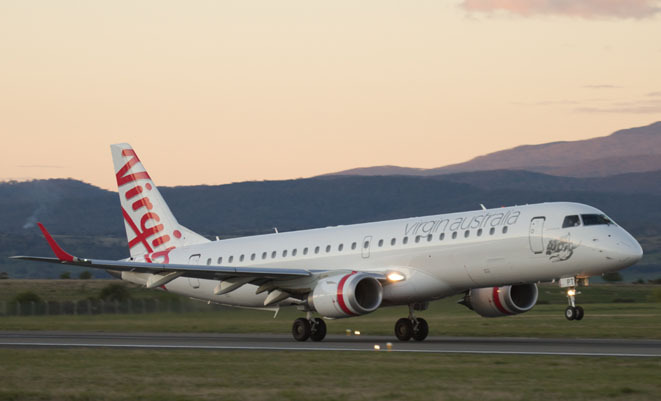 Virgin Australia changed its radio call sign to ‘velocity’ on October 29, replacing the four separate callsigns the airline previously operated under. On the same day the airline changed its ICAO code to VOZ. The changes occurred to create what the airline describes as a “new group code and callsign [to] support the integration of Virgin Australia’s domestic and international airlines under the new brand and identity”. The callsign was chosen because it ties well with the Virgin Australia brand. Change occurred at 10am on the 28th, not the 29th. As an ATC the new callsighn is absolutely stupid, 4 syllables plus up to 3 or 4 numerals and sometimes a letter at the end. By the time you finish saying the callsign you have to start again and change your instruction as it takes too long to say. The PR morons who came up with it did not understand the consequences of Velocity. VeeOz as the callsign used by flights to LA and Abu Dhabi would have been perfect. None of the Virgin pilots or ATC’s like it at all. As a retired ATC, I have to agree with Robert Suviste, also sounds stupid!